Skip bin hire Lugarno is available to you quick, easy and at a good price. Whether you are renovating, moving from one home to another, clearing out a loved one’s home or just getting rid of belongings you no longer want, you need a way to get rid of all the rubbish. Here at MCM Skip Bins, we do everything we can to make this process easy for you. We provide skip bins for hire in Lugarno to help you get rid of any waste that needs to be taken away. Our aim is to provide you with unbeatable service making hiring your skip bin in Lugarno a fast and easy process. Our 15 years of experience gives you the advantage of a well organised operator who is local and reliable offering the best prices and most suitable solutions to your waste removal needs. Our busy trucks are in and out of Lugarno and the surrounding suburbs everyday. 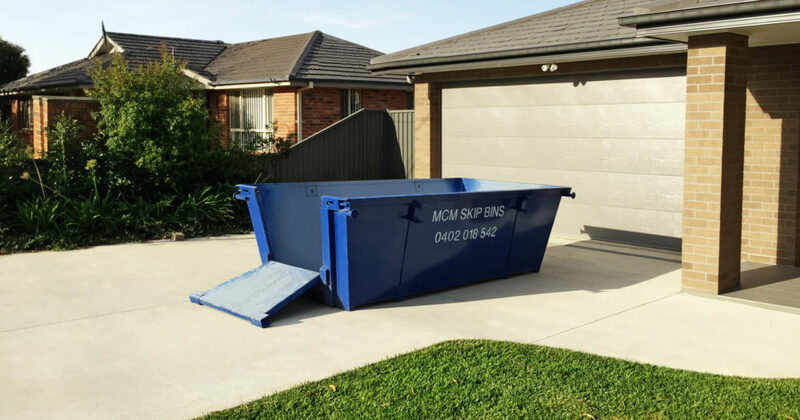 View our range of skip bin sizes. Lugarno is a beautiful suburb surrounded by bushland. Forest Rd winds through the peninsular of Lugarno, with the homes sitting high above the Georges River in the St George Area. Lugarno is approximately 23km south of Sydney city. Families are drawn to this quiet suburb for its natural beauty, tall gumtrees, sandstone outcrops and the opportunity to live with stunning views of the surrounding waterways. Lugarno Primary School is home to many families learning needs. Lugarno Football Club is a large, popular club fielding many teams each soccer season. Lugarno residents can choose from two sets of shopping centre Lime Kiln and Chivers Hill supplying all the basic needs and services on the peninsular. Lugarno Seafood Restaurant sits right on the Georges River and is open for lunch and dinner. It was around the 1960’s that Lugarno began to boom with development of houses and later townhouse and villa complexes alongside three story waterfront mansions. Many of the homes in Lugarno are undertaking refurbishment. Replacement of bathrooms, kitchens, flooring and landscaping keep the homes modern and bright. Our skip bin drivers navigate the area well driving along Forest Rd, Lugarno and into the many off shoots determining where best to place your skip bin for easiest loading. We have the less common hook lift bins and truck which is used to access right of ways, steep drives and tight spaces.